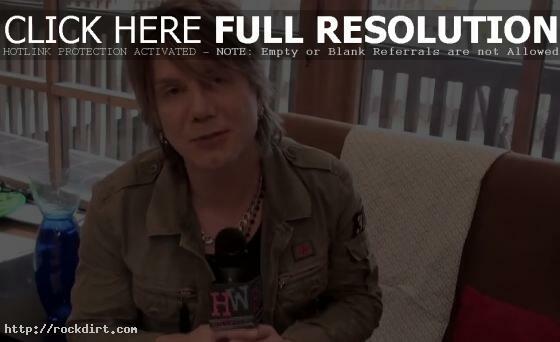 Goo Goo Dolls frontman Johnny Rzeznik talks to Hollywire about how the story of a woman he met at a meet and greet inspired their new album ‘Something for the Rest of Us’ after she told him about her husband’s war story. “I met a woman at a meet and greet, which is basically where you meet fans and stuff, and I had a 2 or 3 minute conversation with this woman and she slipped me a letter to read, and it was about how her husband had been injured in the Iraq war,” Rzeznik explained. “He was having a really hard time wanting to come home and he was feeling he wouldn’t be accepted because his life had been altered in a second. It really struck me that this is the true cost of war, and how many thousands of people’s lives have been affected in this way, so what I wanted to do is write a love letter from her to him, and say it’s time to come back.” In another clip, Johnny talked about the key to the band’s success and other topics. Watch the interview via YouTube below.